Hamburg - Hamburger SV will be hoping to overhaul 1. FC Nürnberg when the two struggling sides lock horns at the Imtech Arena on Sunday afternoon (kick-off: 14:30 GMT/15:30 CET). A win would take the Bundesliga ever-presents level on points with their visitors, but having scored more goals this season, a win would see HSV overtake their 14th-placed opponents. "It's a very important game for us," said Hamburg head coach Mirko Slomka, who is aware a positive result would also be a welcome confidence booster ahead of the final nine rounds in 2013/14. "We have to show on the pitch that this game is about more than winning the three points." The Red Shorts' survival hopes remain precarious and the team failed to build on a stunning 3-0 victory against Borussia Dortmund on Slomka's debut, losing to northern rivals SV Werder Bremen and being held to a 1-1 draw with Eintracht Frankfurt in subsequent games. 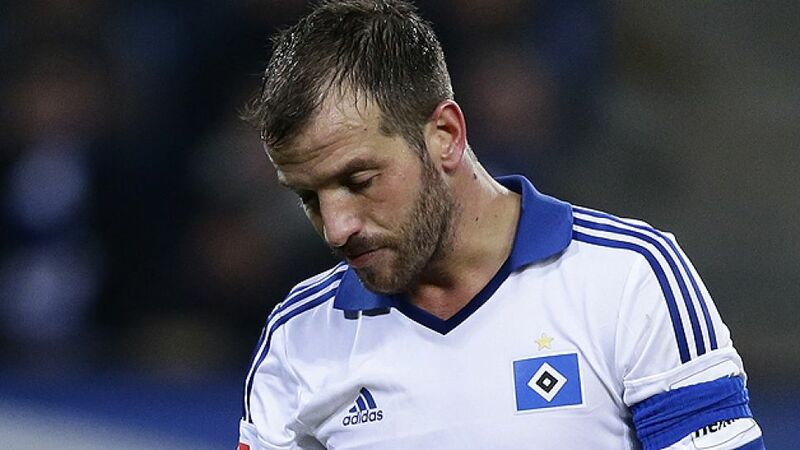 Having Rafael van der Vaart available once again will provide a timely lift for HSV and Slomka is eager for the Dutchman prove his worth: "His qualities are unique. His confidence on the ball, superb passing and threat in front of goal can cause the opponents real trouble." Club top scorer, Pierre-Michel Lasogga is a doubt for Sunday, although Slomka hasn't given up hope of fielding the 11-goal frontman. "He would help us a lot," he admitted. Nürnberg, meanwhile, could take a big step in their quest for another year in Germany's top flight in Hamburg, where victory would see Gertjan Verbeek's side stretch their advantage over fellow relegation battlers Hamburg to six points. That will be easier said than done, however, with the Franconians still licking their wounds following recent defeats against Bremen and Dortmund. Nevertheless, Markus Feulner and Co. will not be parking the bus. "For us, a win is all that counts," said the former BVB midfielder. "We want to make life difficult for HSV," adding that the sides' previous meeting, a 5-0 shock home defeat for Nürnberg in October, has left no lasting memory among the Cluberer: "We're not giving it much thought." Potential first choices Makoto Hasebe, Timothy Chandler, Daniel Ginczek, Per Nilsson and Timo Gebhart are all unavailable through injury but goalkeeper Raphael Schäfer has overcome a hip injury which forced the skipper to pull out against Werder last week.